Environmentalists worry that Chinese dams will have negative impact on environment. China is planning to build a string of new dams in southern Tibet to boost its electricity supply, the region's chief of water resources told the Guardian. Hundreds of millions of people across Asia depend on rivers that originate in Tibet, and previous hydroelectric proposals have proved controversial because of their impact on the environment, local people and communities downstream. But officials in Lhasa argue the dams are the least damaging way of providing power and raising living standards in the region. "Tibet is rich in water resources and has good potential for setting up more hydropower stations and dams," said Baima Wangdui, director of the region's water resources department. 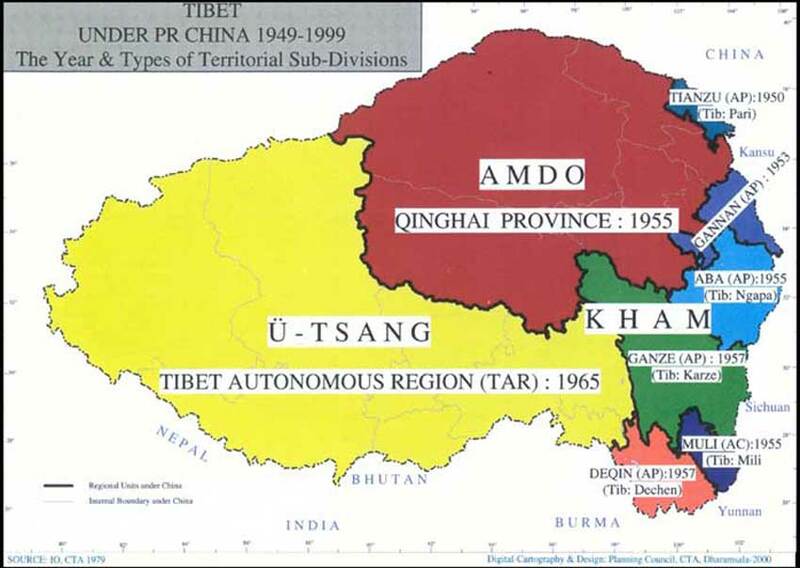 "With the economic development of Tibet we need more resources. We will take great care in protecting Tibet's natural life and consider the [impact] on society." They add that hydropower is cleaner and more efficient than coal, oil, gas or nuclear power stations to generate electricity. A 2003 study by the ministry of water suggested it could generate 1,800bn kilowatt hours a year in Tibet. The director said he did not know exactly how many dams would be built in the next decade because there was no detailed planning as yet. But he added that experts were considering sites. "We haven't got any hydropower stations set up along big rivers like the Brahmaputra, but in the future we will consider setting them up on these sites," he said. "The upper reaches of the rivers it is forbidden to develop; the middle reaches [in places like Lhasa and Xigatze] are more populated and can have limited development under certain conditions and can keep the balance with environmental protection; the lower reaches of those rivers in the deep valleys and some remote areas are the main part we are developing." Zhuang Hongxiang, an official at Tibet's environment bureau, added: "We are trying to solve the electricity shortage and do the least damage to our environment." She argued that environmental impact assessments at the planning stage and careful supervision would ensure that the projects did not cause damage, particularly given that exploitation of Tibet's rich water resources was low to date. But Tashi Tsering, a researcher on Tibetan water resources at the University of British Columbia, warned that assessments did not recognise the full impact of damming. While they consider local biodiversity, they frequently failed to consider water quality and roles played by free-flowing rivers such as nutrient recycling. "The rivers and mountains where these dams will be built and new reservoirs will inundate are often considered sacred. "Resettlement and compensation cannot solve the issue," added Tsering, at the Institute for Resources, Environment and Sustainability. He said the government shelved a hydropower project at a sacred lake in east Tibet two years ago after opposition. "It's not that the Chinese government's policies are immovable, but it requires strategic planning and campaigning from local people, journalists and environmental groups," he said. Aviva Imhof, campaign director at the International Rivers Federation, said: "The headwaters of most of the major rivers of Asia are in Tibet, so damming them could have implications downstream."